In a move to take Indian train travel to the next level, government owned IRCTC that operates one of the most visited travel booking sites in the country has launched virtual tickets with the Virtual Reservation Message (VRM). VRM is seen as a revolutionary step since passengers will no longer have to carry physical tickets or Electronic Reservation Slip (ERS) with them while travelling on trains. All they need now is VRM (which is basically a picture of the e-ticket) plus a valid photo ID proof to travel on trains. Earlier passengers needed either a physical ticket, or an ERS coupled with a valid photo ID proof. The VRM will basically replace the ERS in the sense that instead of taking print-outs every time you are travelling, you can simply save a copy of the ticket on your mobile, laptop, tablet or other devices and show it to the ticket collector for authenticating your reservation. This is additionally helpful since online reservation is growing rapidly in India. We had earlier written about a mobile ticket booking application launched by the Indian Railways which enable users to book their railway tickets through their mobile phones. In related news, an expert group under the chairmanship of Sam Pitroda, adviser to the Indian PM has been formed by the Indian government to further drive Railways' modernisation plans. 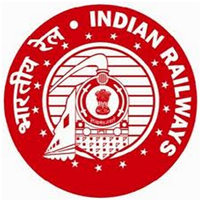 The committee will outline strategies for modernisation of Railways with a focus on track, signalling, rolling stock, stations and terminals; using ICT for improving efficiency and safety; augmenting existing capacities of Railways through indigenous development; reviewing projects and addressing Public Private Partnership issues. It will also address issues connected with organisation, management and resource mobilisation and professionalisation of manpower on Indian Railways. The committee will be based at Delhi and is expected to submit its report in December 2011.